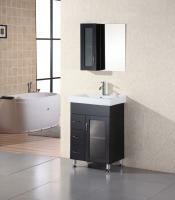 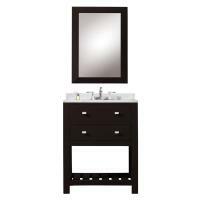 The smart design of this single sink vanity adds a modern look and great functionality in the bathroom. 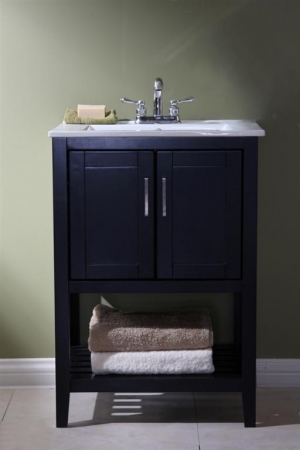 An open shelf and a double door cabinet provide space for storage. The dark espresso finish is accented by the white ceramic sink and counter top and the brushed nickel hardware pulls.